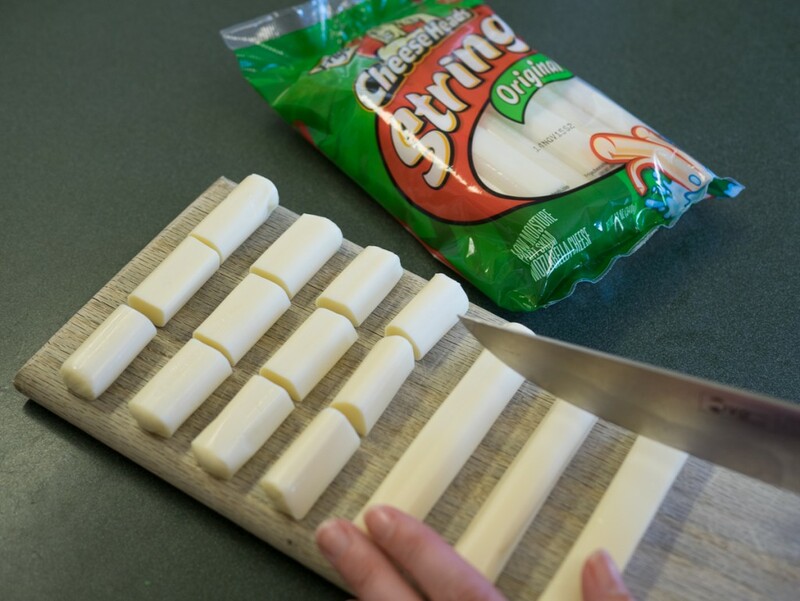 When I was a kid, my absolute favorite thing to order in restaurants were fried mozzarella sticks. There was something magical about those little golden-brown bites of melty, gooey cheese: they somehow seemed like something you couldn’t possibly produce at home. 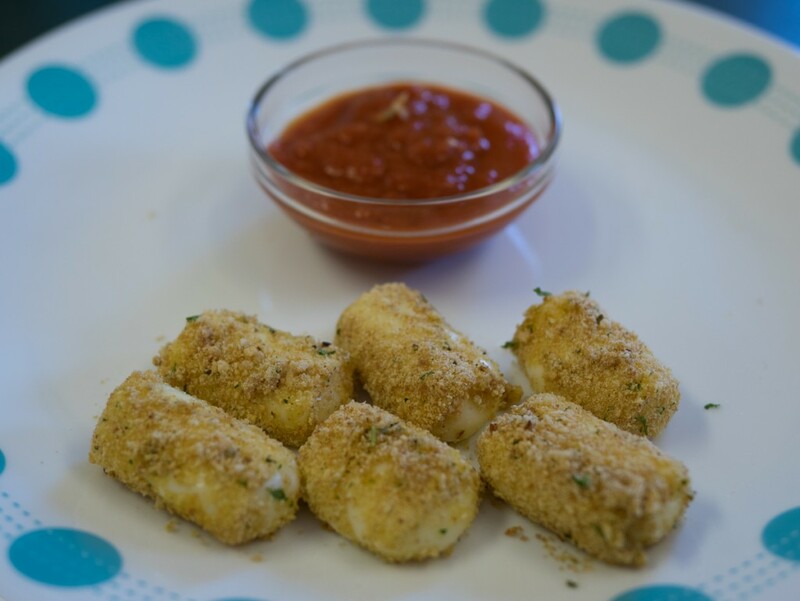 Well, I was wrong, and the good news for my kids is that not only can you make mozzarella sticks at home in less than ten minutes, but the baked version is just as yummy as the deep-fried ones I remember. 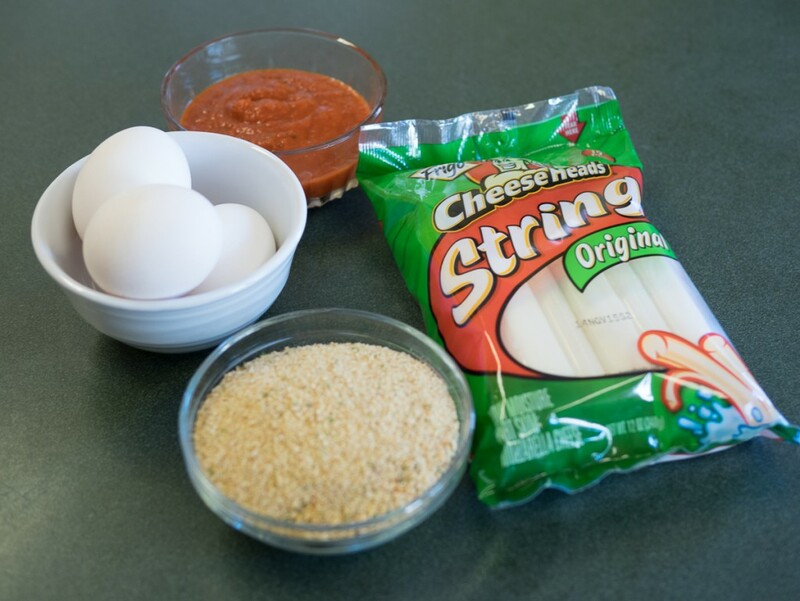 Here’s my four-ingredient, ten-minute mozzarella nugget recipe featuring our sponsor Frigo CheeseHeads. 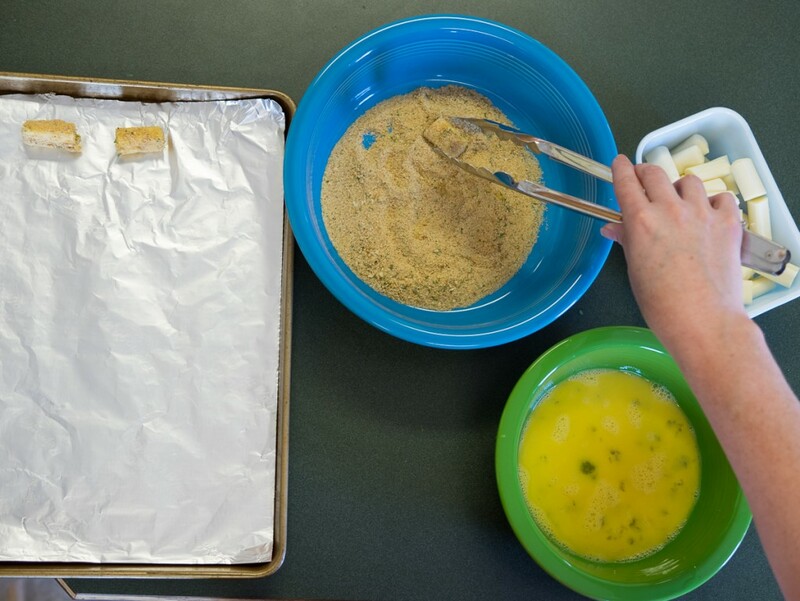 Put cookie sheet in the oven for 3-5 minutes, until the nuggets begin to melt. 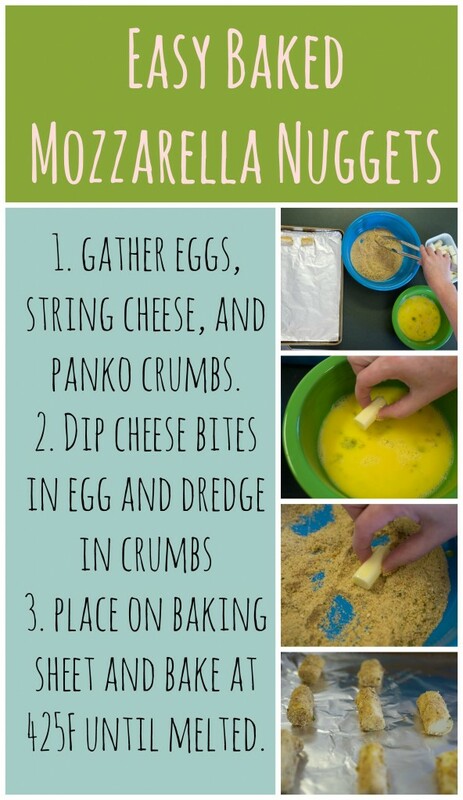 Watch closely, because your little nuggets can turn into a puddle of delicious, delicious mozzarella goodness very quickly! 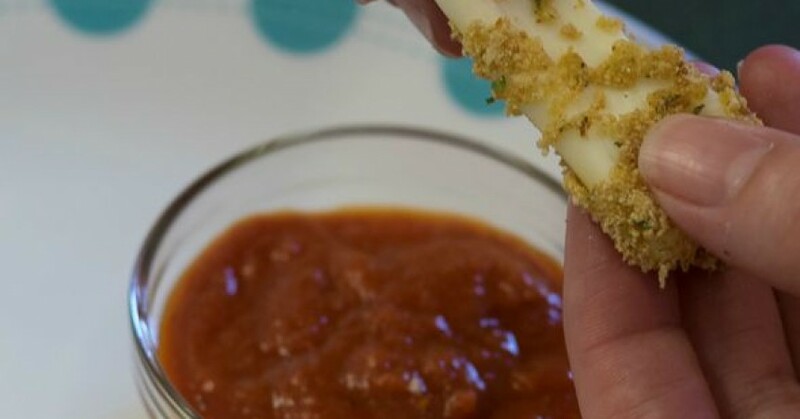 This recipe was created in connection with my agreement as a contributor to Saputo Cheese USA Inc. For more easy kid-friendly snack recipes check out the Frigo CheeseHeads site! Can’t wait to try these! My kids are addicted to chicken nuggets. And I’m getting really tired of the dinosaur ones.